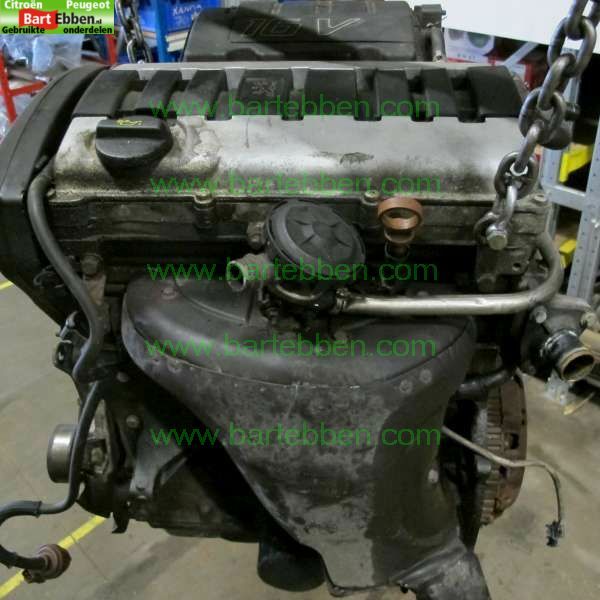 Replace the broken Peugeot tu5jp4 engine in your Peugeot 106, Peugeot 206, Peugeot 207, Partner or Peugeot 307 with a used Peugeot tu5jp4 engine in case of an engine breakdown. Bart Ebben supplies used second hand Peugeot engines like the 1.6 16V NFU TU5JP4 with 80kW or 110Bhp worldwide including a warranty. Prices are determined by age and mileage of each individual motor. Whether you are 100% sure about the Peugeot tu5jp4 engine needed or not, sending us a car part request will help you find exactly what you need. Our salesmen are qualified to do the searching for you using VIN-number and engine codes. Please contact our salesteam here to quickly arrange the right engine for your car. Used Peugeot tu5jp4 engines can be shipped worldwide, we ship spare parts to destinations all over the world on a daily basis. We prepare the engine very carefully for shipment, using our many years of experience to your benefit. The logistics are taken care of by specialized shipment companies. Please ask our staff for all details for your order.